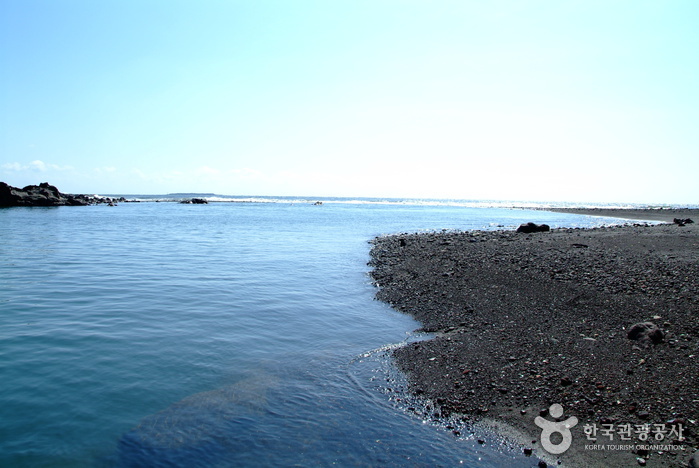 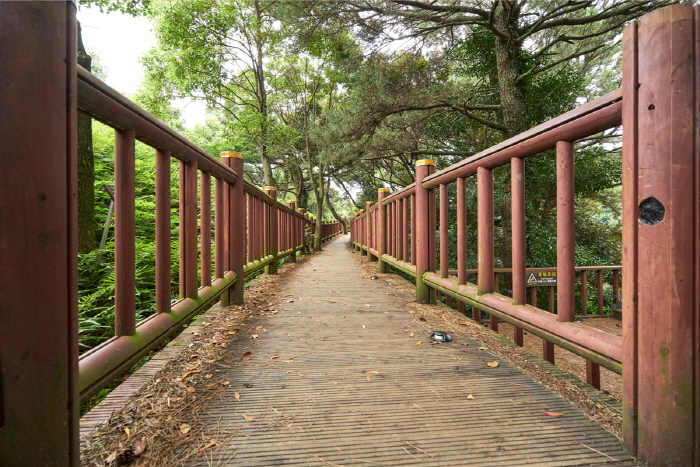 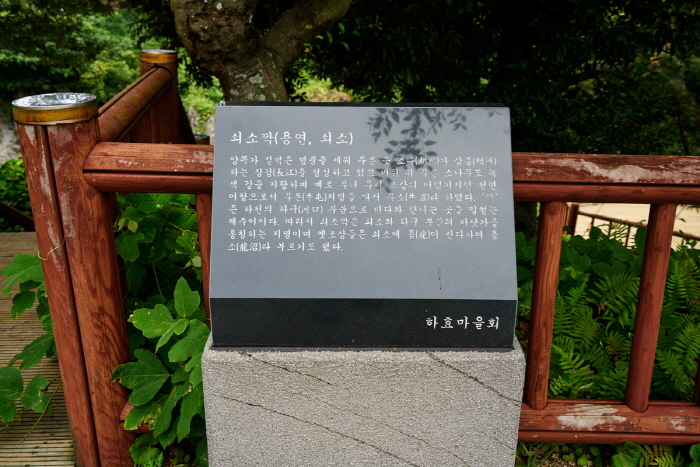 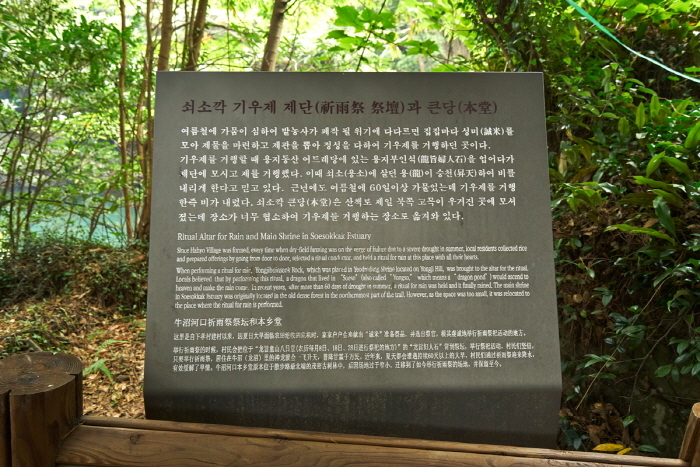 Located in the Seogwipo area of Jeju Island, Soesokkak Estuary was originally called ‘Soedun’, which means a lying down ox, and it was only later that it became more widely known as ‘Soesokkak’. 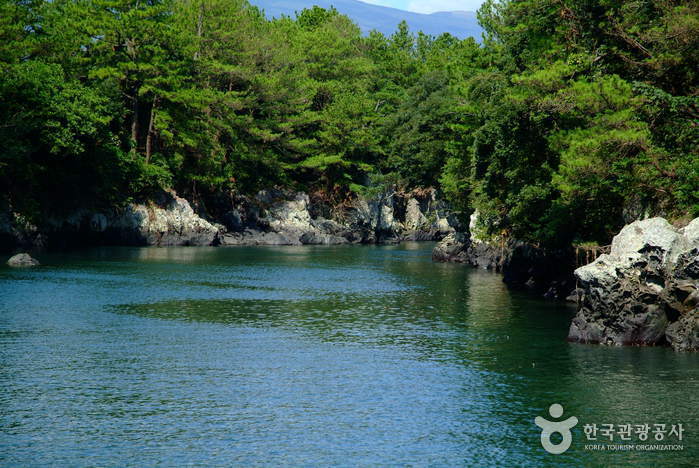 This is the mouth of the Hyodoncheon Stream. 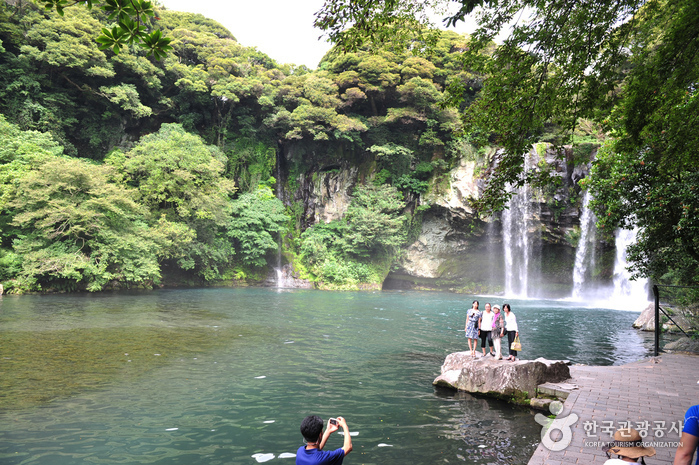 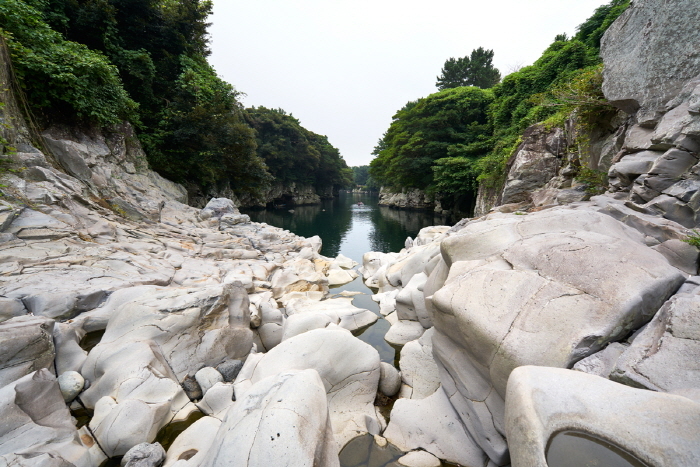 As the fresh water meets the ocean, it broadens into wide slow flowing river. 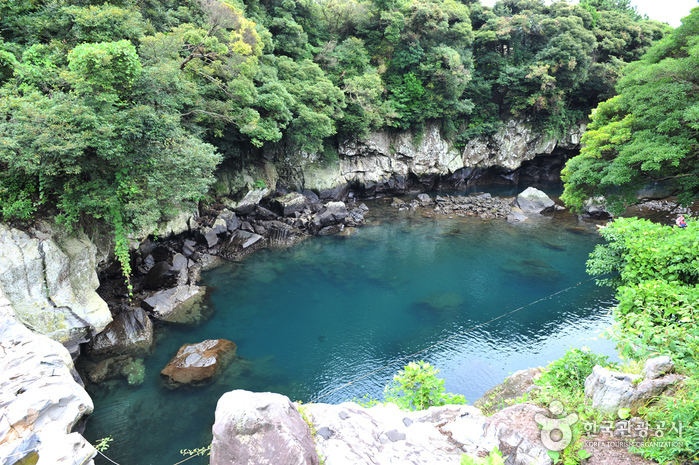 ‘Soe; means an ox, ‘so’ means a ‘pool of water’ and ‘Kkak means ‘the end’. 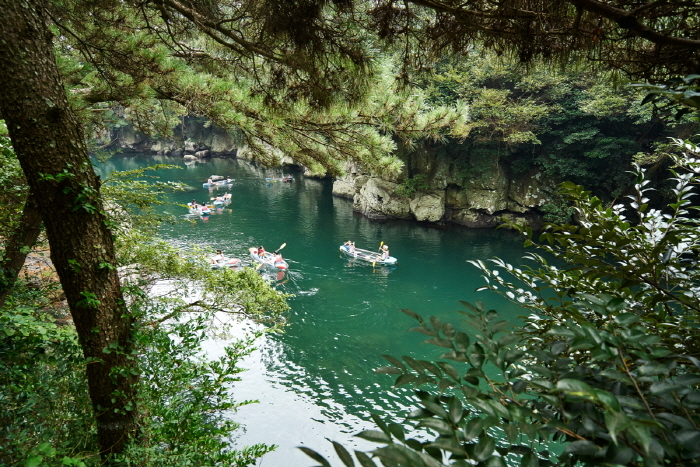 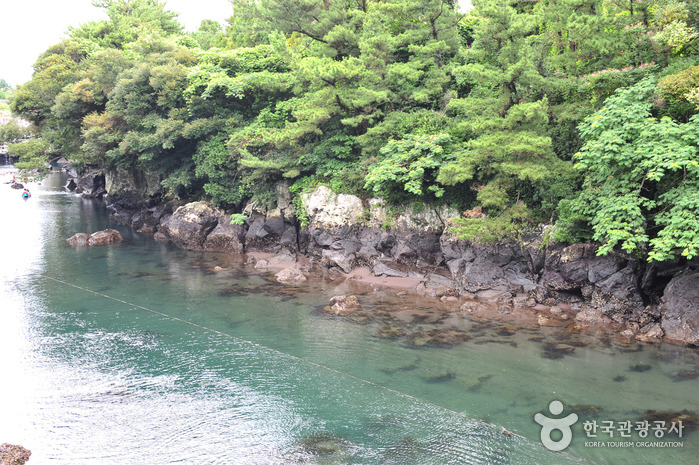 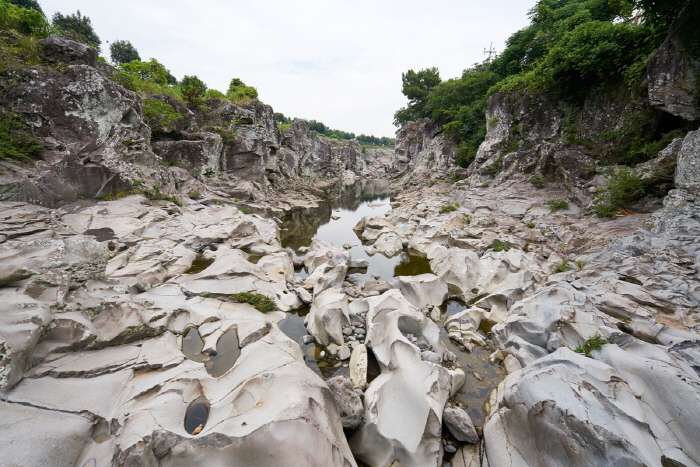 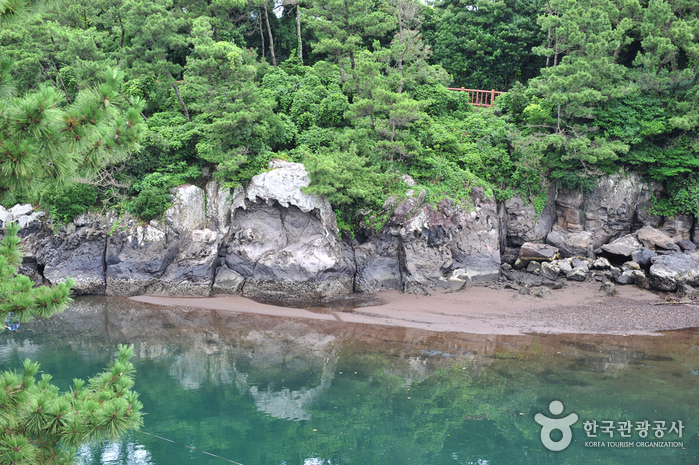 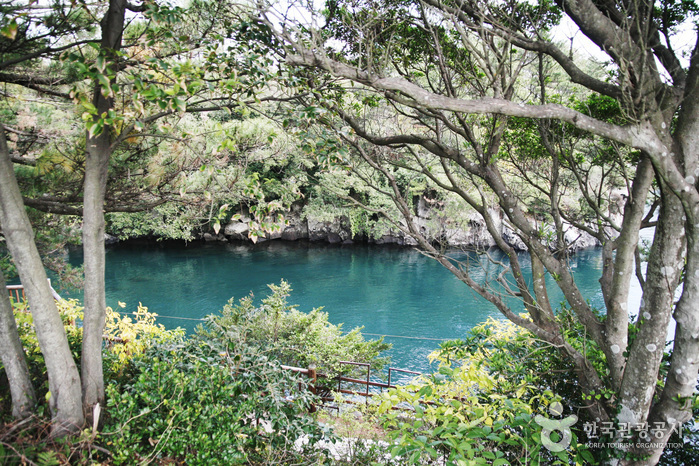 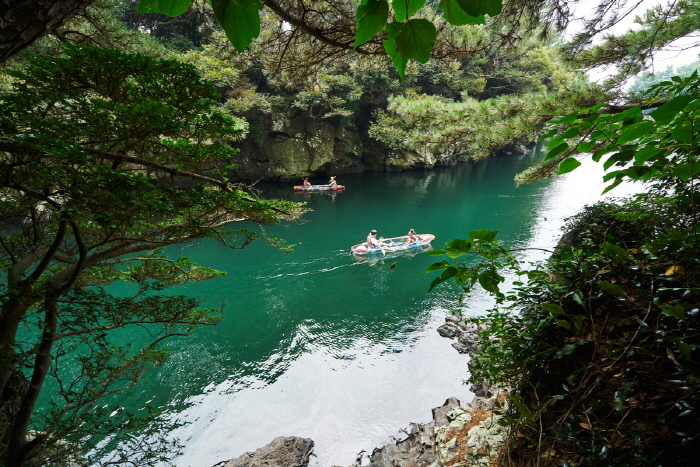 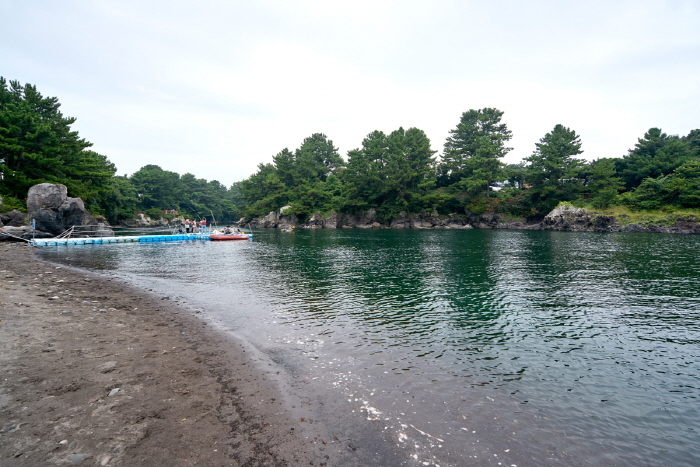 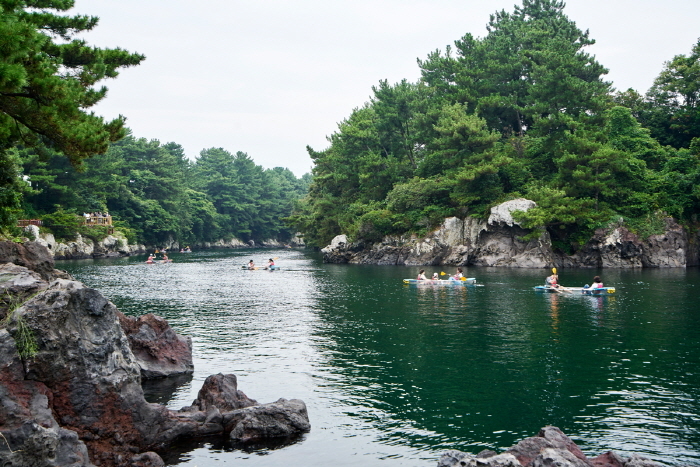 Soesokkak Estuary is lined with cliffs of curious lava formations, which are overhung with pine trees. 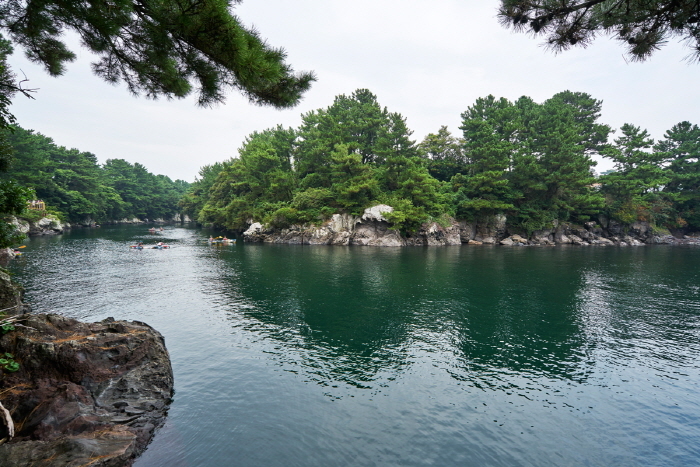 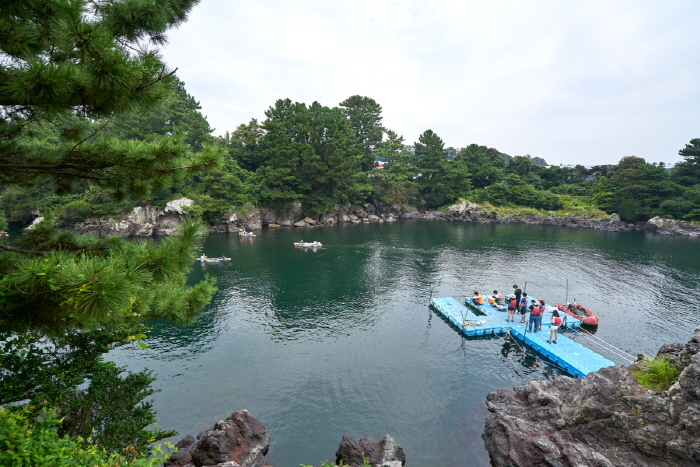 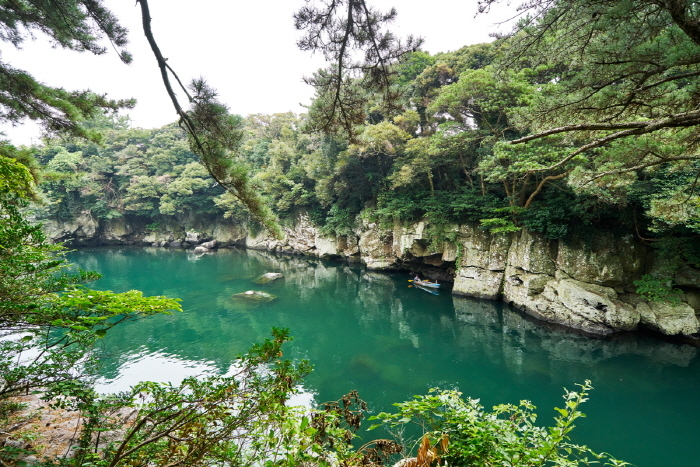 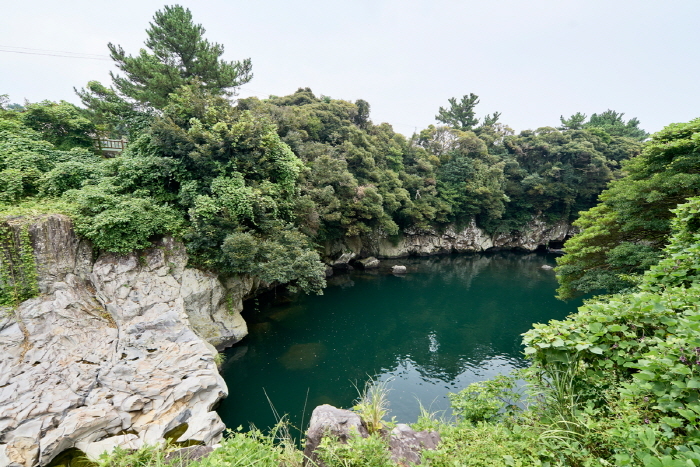 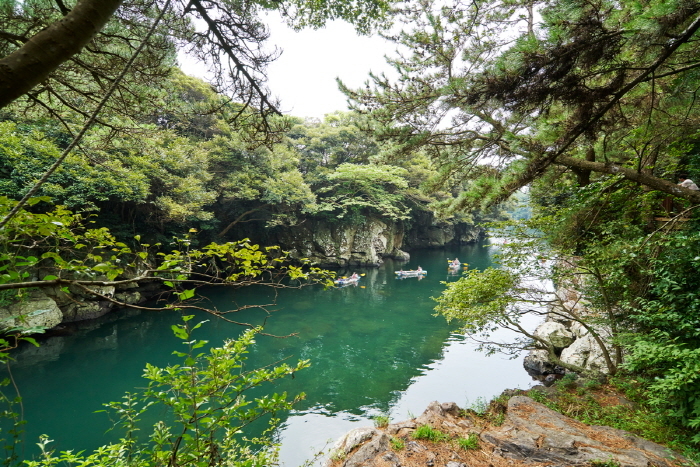 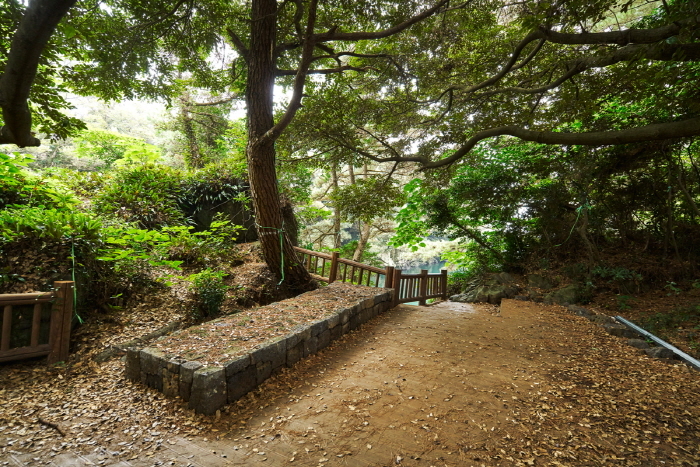 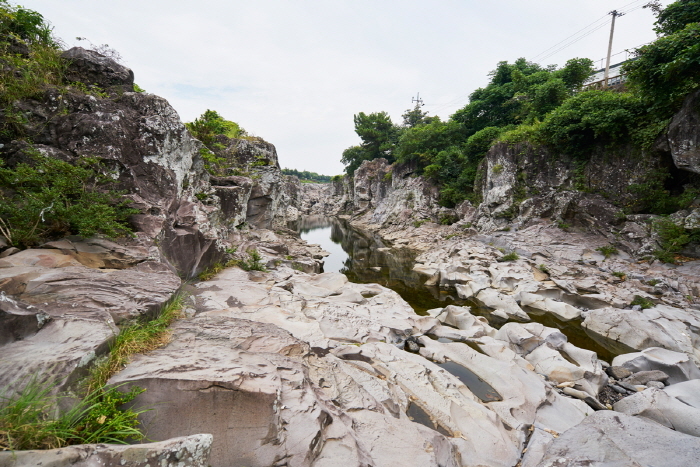 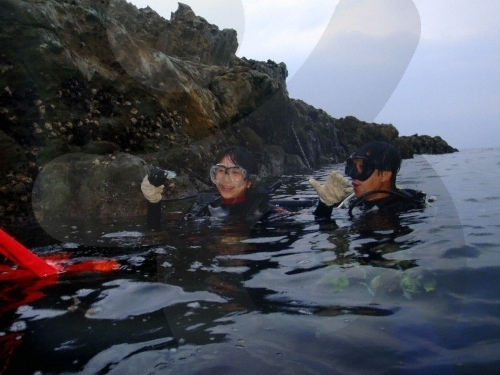 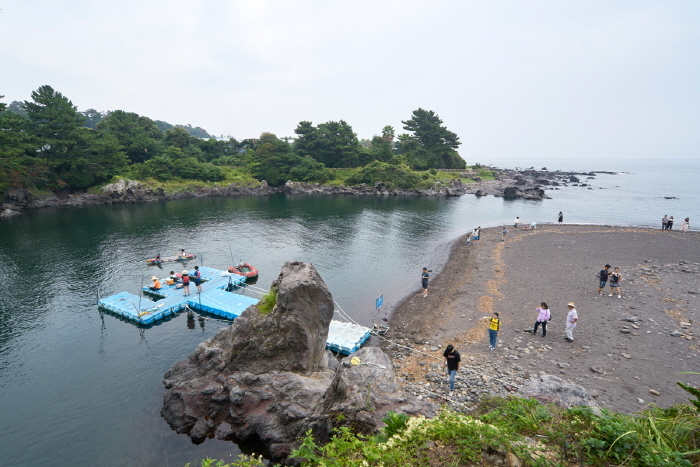 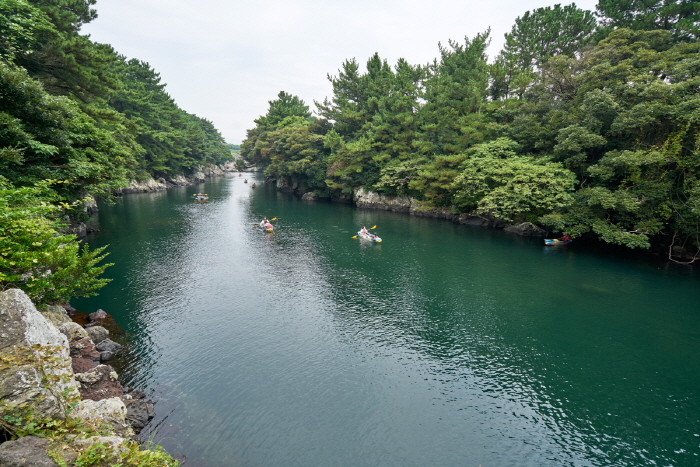 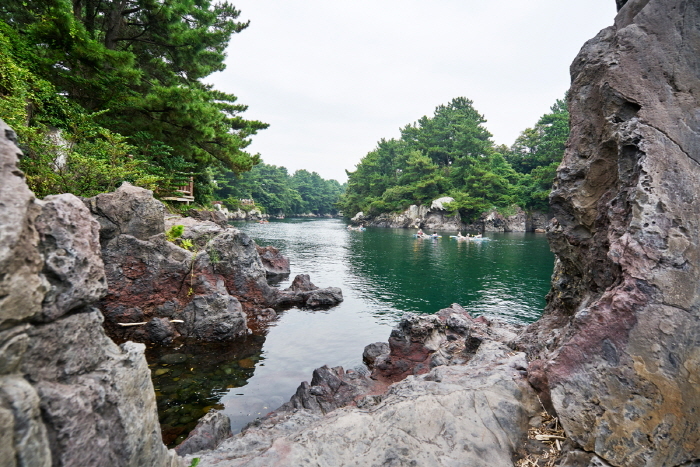 It was chosen as one of hidden picturesque scenery in Chilsip-ri, Seogwi-po, comprised of deep blue ocean, uniquely-shaped rocks formed by lava and a pine forest. 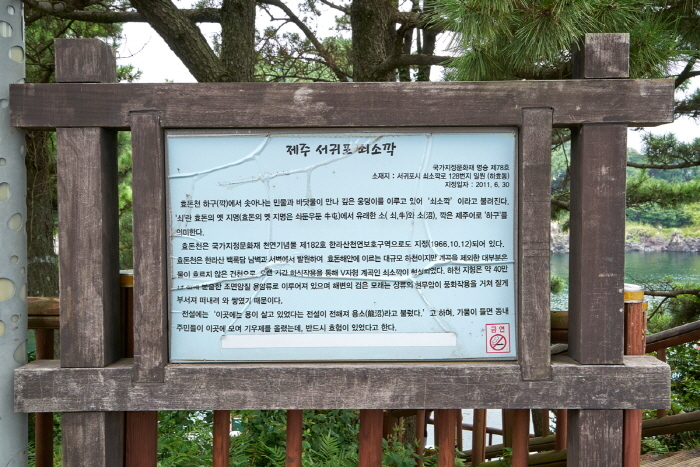 Soesokkak Estuary is located in Hahyo-dong on the Southern side of Hallasan Mountain. 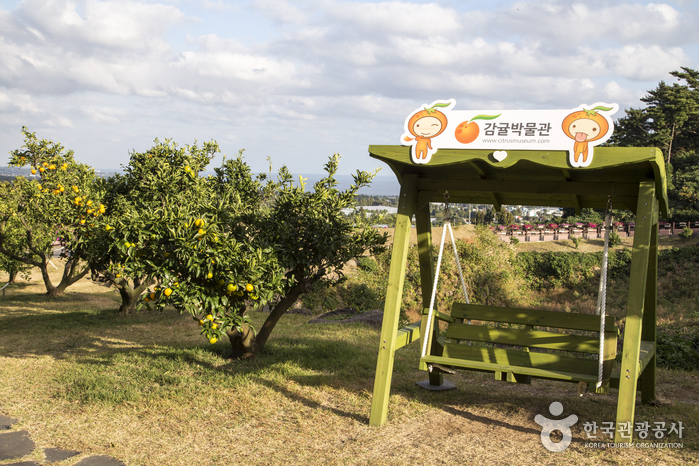 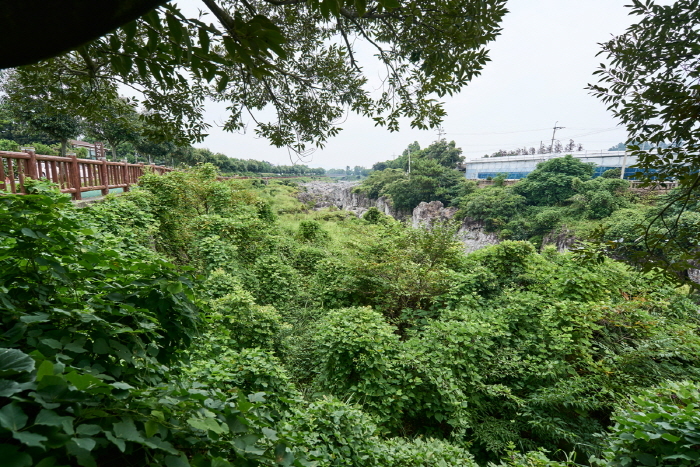 The area is also well-known for its tangerines, and visitors are drawn to the area by the fresh scent of the fruit. 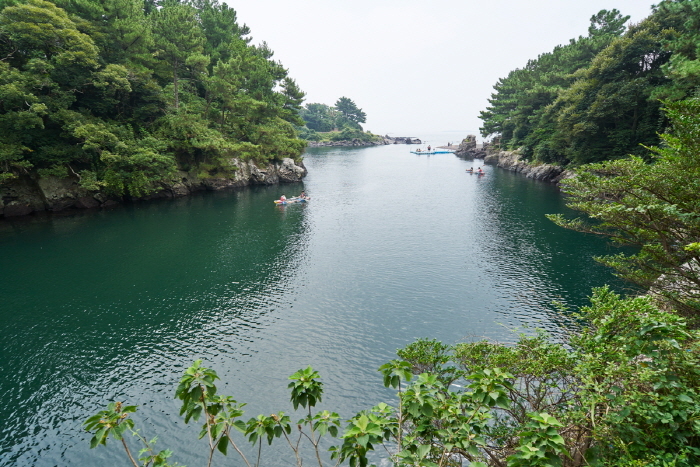 Popular destinations close to Soesokkak Estuary include the famous Jusang Jeolli Cliffs and Jungmun Resort, as well as Cheonjeyeon Falls. 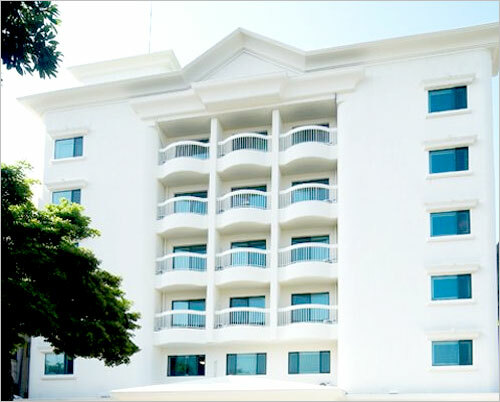 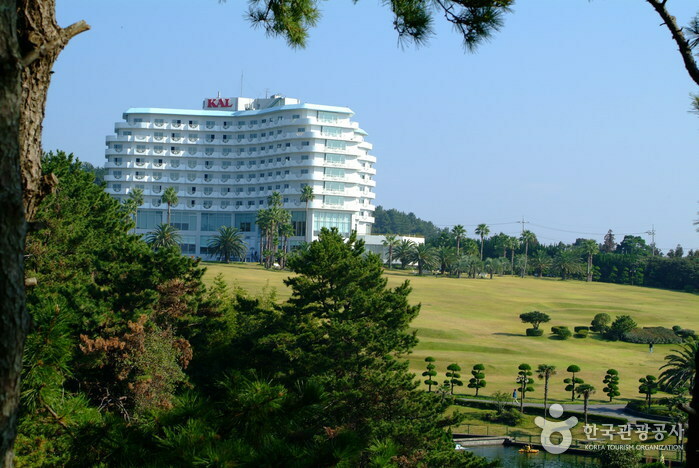 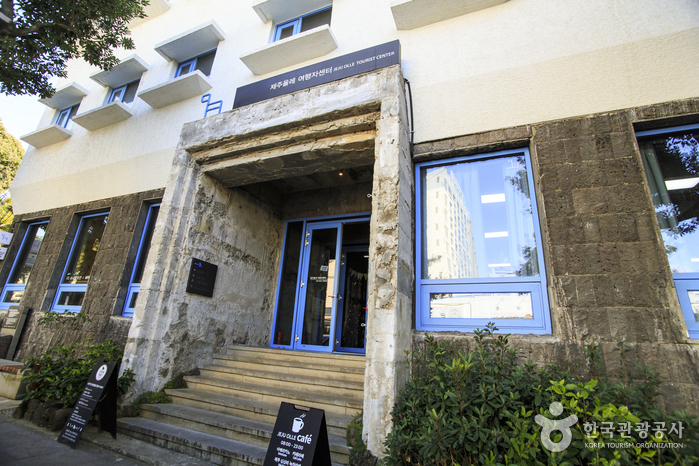 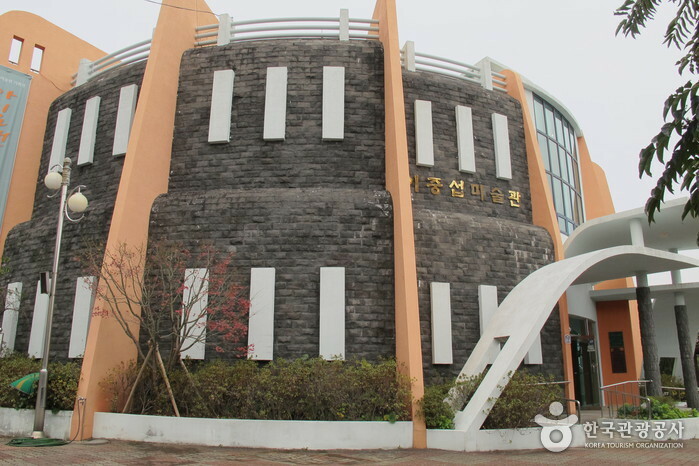 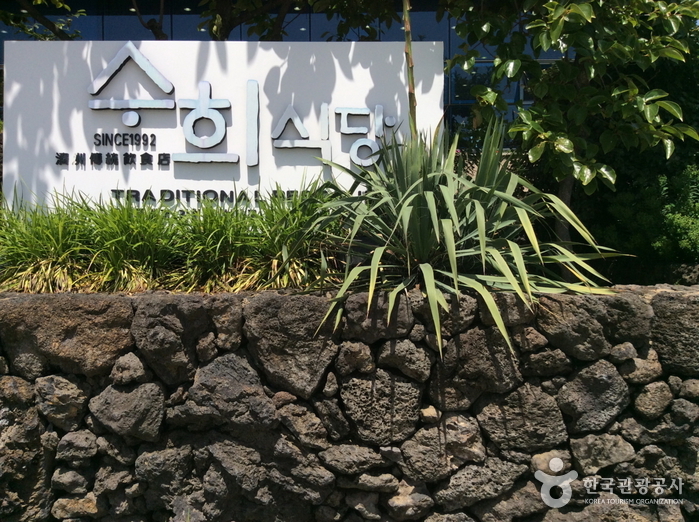 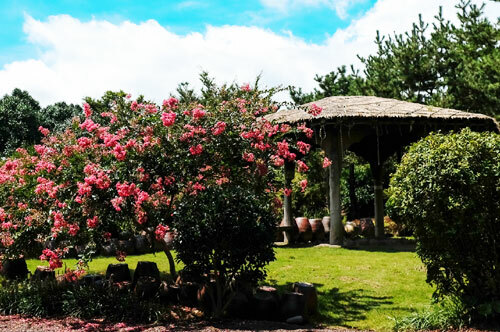 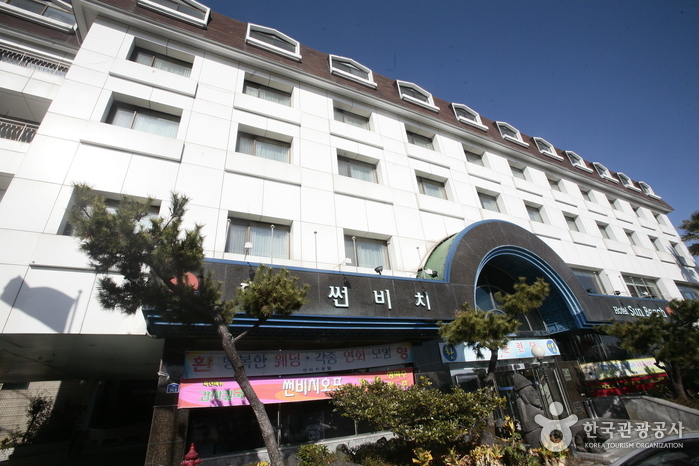 From Jeju International Airport, take Limousine Bus 600 to KAL Hotel (the last stop). 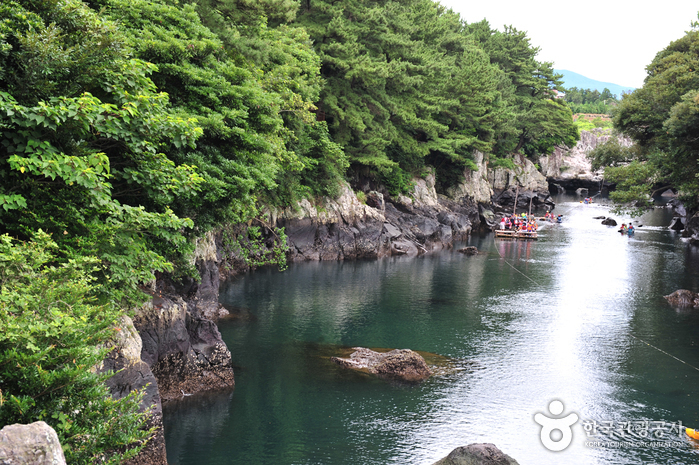 From the bus stop, take a taxi to Soesokkak Estuary (쇠소깍, 10-15min). 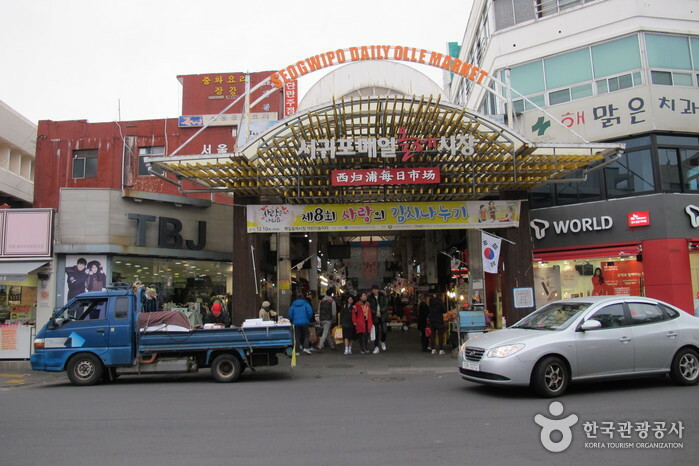 From the terminal, take an intercity bus bound for Namjo-ro (남조로). 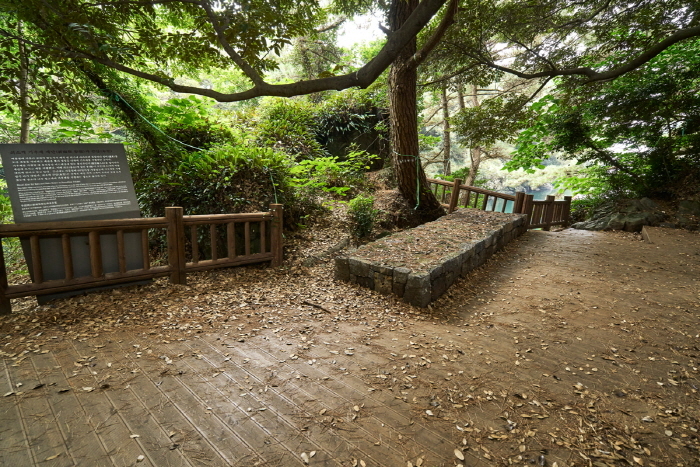 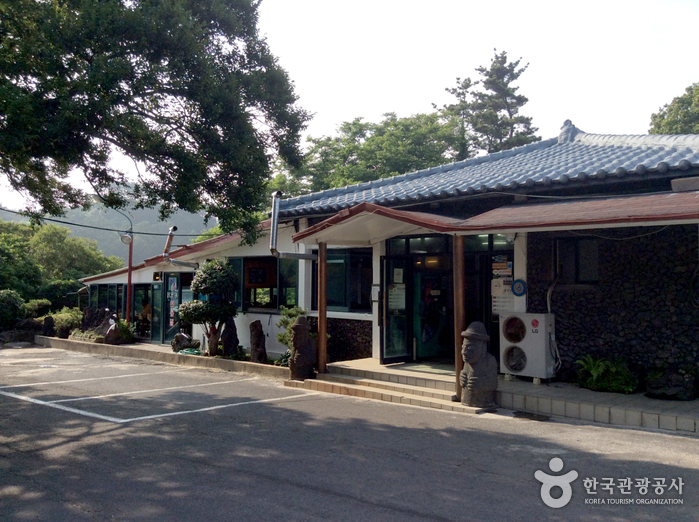 Get off at Hyodon Middle School (효돈중학교) and walk about 20min to Soesokkak.